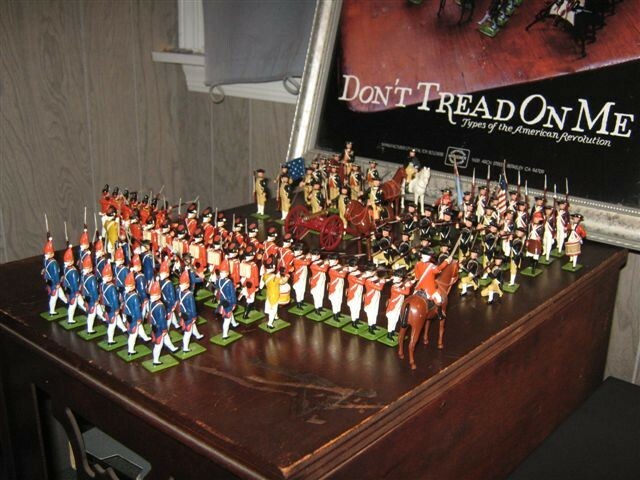 My Wm Hocker collection of American revolutionary war soldiers! 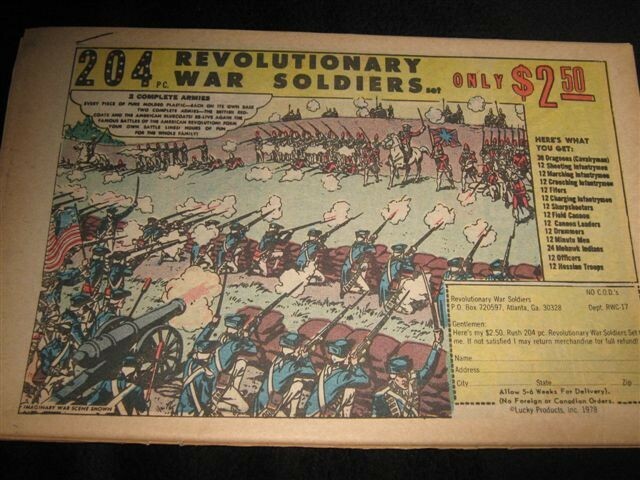 I remember as a young kid reading a comic book and coming across a splendid color advertisement in the back of the book for a 204 piece revolutionary war soldier set. That great color ad made me want that set,I could not wait to order a set! As things would go,I never did get the set,but my cousin Pat had the set. I was to spend a weekend at my cousins house,and I asked about the set,how did the soldiers look? Were they nice?,Anyway,he took the set out and we played a mock war with them for hours. The time went by fast,I was the "Red-Coats",and he was the "Blue-coats" although I wish it were the other way around! Ah the memories,those were the days,any way,years passed,and for one reason or another,I never did get one of those set`s for myself? I never forgot that add,nor did I forget that great play time I had with my cousin that day/weekend. 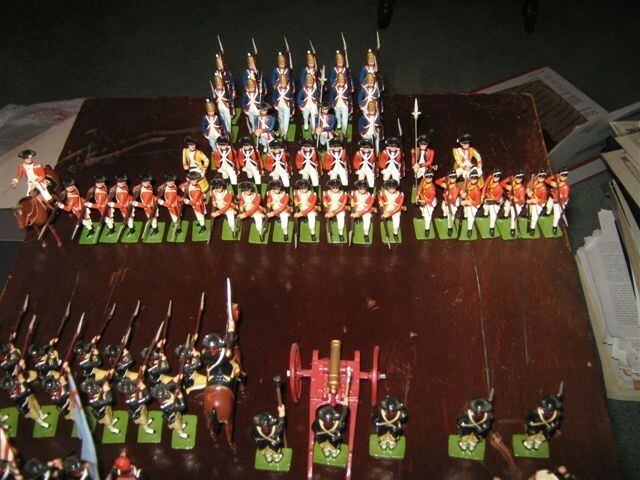 Then sometime in the 1990`s,now in my thirties,I started to dabble in toy soldiers,I still had some plastic soldiers from my youth,and so I attended a local toy soldier show. At the show,I picked up a copy of Old toy Soldier Magazine dated,Aug.-Sept. 1996. Upon opening the magazine I saw an ad,right there on the inside front cover,the ad was for the revolutionary war soldiers of Wm Hocker. 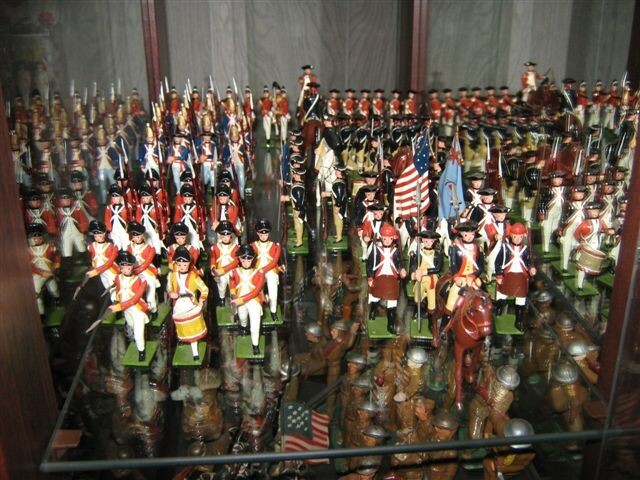 And I instantly visualized the old color add of the 204 piece rev war soldiers. 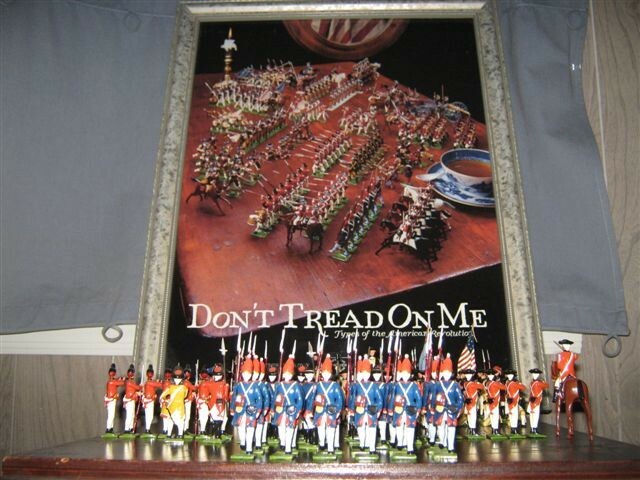 From that point on,I started to collect toy soldiers again,and I have been hooked ever since. 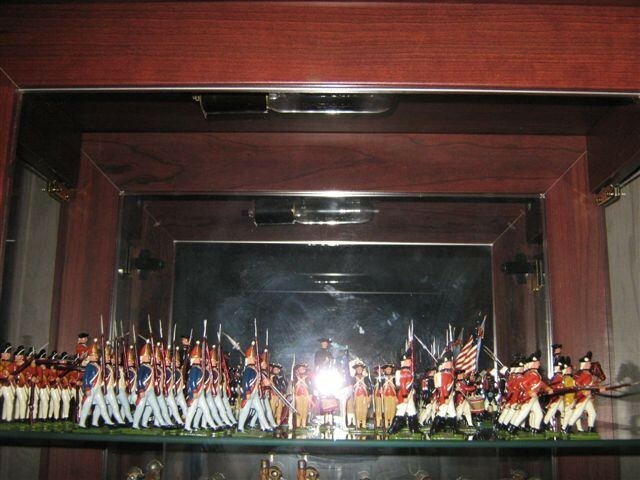 I finally did get some revolutionary war soldiers but they were metal,not plastic,and they are beautiful works of art,each one possessing it`s own individual charm,and I love the rich deep color they posses! I now have 15 set`s,and plan to buy some more. Mr.Hockers soldiers are really well done works of art,I really love `em & enjoy them!!! Here is a photo of some of my collection, More pictures to follow. 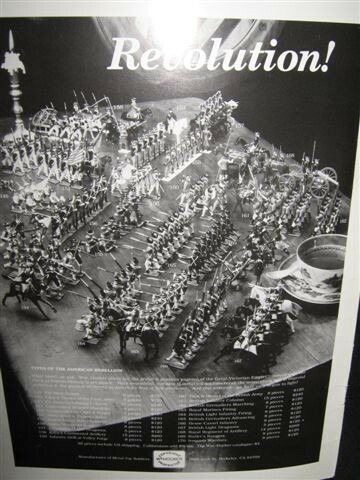 The old comic book ad from "Lucky Toy" product`s, I always liked this picture in the advertisement it made me day dream a lot about toy soldiers,and of one day creating my own battle scene. 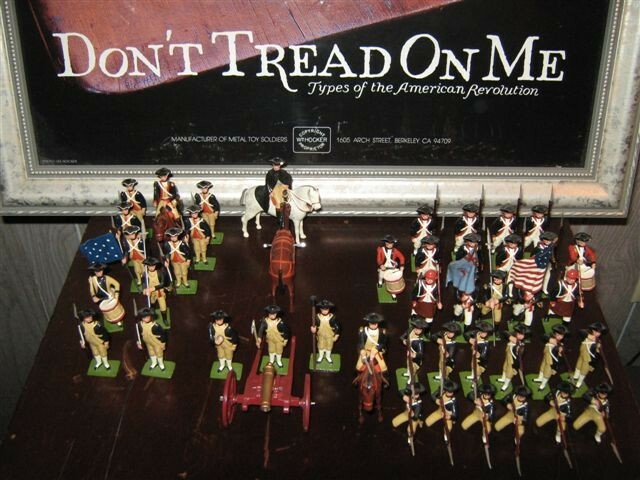 The Wm Hocker advertisement,that got me "Hooked" on toy soldiers...!!! Found in the August/September 1996 issue of Old Toy Soldier Magazine,volume20,#4. George Washington,seeing the light,and then leads his troops to victory! I enjoyed viewing your collection! Especially like the beautiful framed advert entitled, "Don't Tread on Me." How did you get a color copy of the advert. It is my understanding that all of Mr. Hocker's posters (the old ones) are available only in monochrome.